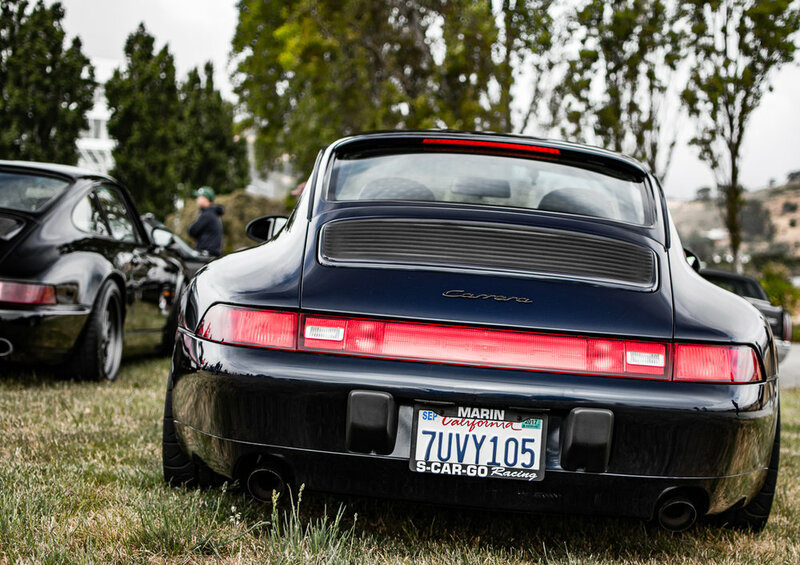 Radwood Reflections / An attendee's view of the inaugural Radwood car show — DWA! Sometimes it's not easy being an 80's and 90's car enthusiast. Many car shows still cut eligibility at 1973. Cars and Coffees often devolve into to supercar one- upmanship and dyno sheet saber rattling. Aftermarket support for restoration varies while available modifications often erase all vestiges of period correct character, turning the car into something entirely different. Retrospective automotive journalism cannot resist cataloging all of the shortcomings of the era when writing about an 80's or 90's car (build quality, power versus pre-fuel crisis cars, reliability, refinement, impact bumpers, etc.). Many of the cars lie at the bottom of the depreciation curve, making good examples rare and survivors subject to abuse. And then there are the events where eighties and nineties cars may have no choice but to participate in, such as smog testing. So why bother? The secret is these cars are quite good. Affordability aside, the performance and driving experience can be very rewarding. Perhaps most importantly, they can be exercised on the street without causing much trouble, something that cannot be said of modern performance cars. And while the eighties and nineties cars and culture have quirks and flaws, they are the quirks and flaws we grew up with. These are the cars that are a part of our past, and our eyeglasses are tinting rosier as the clock moves forward. Enter Radwood. The "Driving While Cammed and Clutched" team made up of three automotive podcasts (Driving While Awesome!, Cammed and Tubbed and Clutch Kick) conceived a show with entries limited to the years 1980-1999, but allowed out of era cars that were modified in a period correct manner (think of a Cal-Look Beetle, a Boyd Coddington hot rod, or a Hollywood movie car turned 80's-90's pop-culture icon). The name Radwood brilliantly plays on the well-known Goodwood Festival of Speed, where cars and vintage-costumed onlookers celebrate the history of automobilia. But while Goodwood is good, Radwood is rad. For many, this difference is explanation enough as to what Radwood is all about. America" jacket embroidered with the name of the dealership that sold my car new. The Camaro, with under 28,000 miles, would wear a dealer-style license plate and its original window sticker. Arriving traffic was corralled towards the designated lot by a skater dressed in neon yellow with a hat that said "Gnarly" underneath an upturned bill. Marcellus Wallace took care of the parking problem by sending the tuxedo- clad Winston Wolfe, who arrived ahead of schedule to effortlessly park cars in the field. He even positioned his Acura NSX (vanity plate "TEHWOLF") as part of a traffic funnel by the entrance. Marty McFly arrived in a DeLorean wearing his signature red vest and plaid shirt, while Andre Agassi, who arrived in a BMW E24 6-series, never put his tennis racket down for the entire day. A boom box surrounded by cassettes sat proudly atop an El Camino. A dapper businessman arrived in a manual-swapped Subaru SVX paid for by junk bond sales (or perhaps by his admitted involvement in the Yakuza). A woman dressed as an extra from a Richard Simmons workout video dodged eighties skate punks to get a view of a mint Acura Legend, while David Lee Roth of Van Halen fielded questions about his zebra-striped pants and his euro-spec Jaguar XJS. The retro bubble of Radwood was alive and kicking. Though parked, the cars also came alive. A trio of pristine Peugeots made it seem as though the French auto industry never gave up on the US market. Statler Toyota was offering a modified "Toyota Truck" (presumably a Hilux 4x4) for sale, and Marty McFly was seen frequently hovering around it. Two pristine Mercedes pillar-less luxury coupes sat along the waterfront, recalling political debates over trickledown economics. 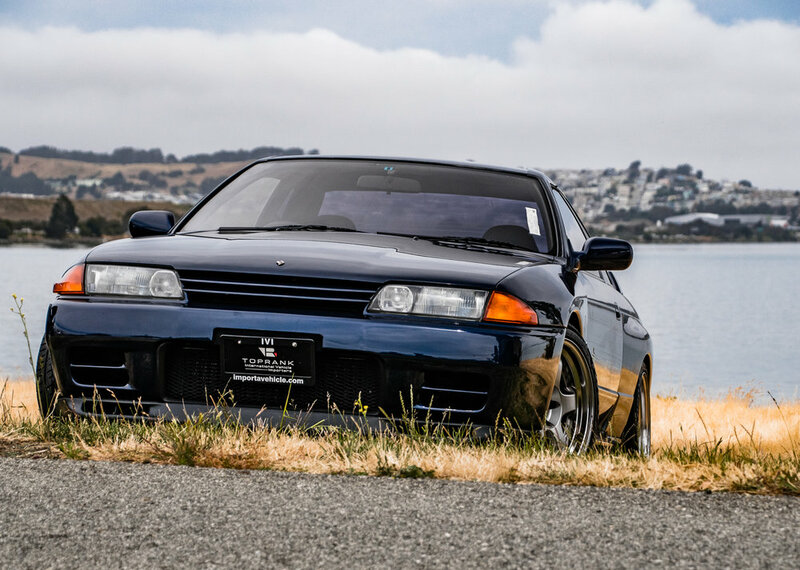 Pristine Nissan Skylines peppered the field, reminding us of an era before computers took over every aspect of a car. A first generation Honda Prelude looked so clean that onlookers could easily understand the hopeless, uphill market battle faced by 80's American challengers such as the Fiesta and Chevette. relegated to the history books. The Camaro exemplifies American automotive designin the 80's with its squared details, angled creases, and a look that dangerously flirts with gaudy, cheap, and totally radical all at once. The Camaro pictured is a never- commissioned B4C police package car, which was road tested by the MI state police to 150 MPH. Impressive for 1991; however, it will likely squeak, rattle, and creak the entire way to that top speed, but that is a flaw willingly overlooked by those who love the car. The pink and teal license plate recalls ad campaigns from the era where print, radio, and TV were the main methods of reaching out to people. A catchy slogan and melody went a long way, and I'm sure most Radwood attendees could hum the melody to the "Heartbeat of America" or "I love what you do for me - Toyota!" There were some cars who seemed to spend their whole existence waiting for an event like Radwood. Consider the Ferrari Mondial. Assessed against Ferrari's impressive history, the Mondial finds itself a curious, underappreciated footnote. At Radwood, the Mondial was Royalty amongst its 80's-90's automotive brethren. This is not simply blind adulation for the sake of Radwood; the mid-engine V8 Mondial T Cabriolet sounds like a great time on a twisty road. Similarly, a subdued and elegant Toyota Cressida with maroon paint looked right at home sitting aside an MkIV Supra and the aforementioned SVX. It is a car that may have gone unnoticed in another setting, but it fit perfectly at Radwood and drew much- deserved attention. This last point speaks to the finest part of Radwood. The event attracted genuine, passionate automotive enthusiasts from across the spectrum who were interested in talking with fellow 80's and 90's car enthusiasts. The result was a fun, light hearted event that celebrated a common interest in automobilia's sometimes overlooked era. Fortunately, Radwood is not just a singular event, but a philosophy on the hobby. The cars of Radwood were all driven to and from the show. If you missed Radwood, you can find them at your local cars and coffee in that far corner past the new supercars and the 60's muscle cars. You may even see them still providing daily commuting services. Or, you may pass them on a Sunday morning at your local twisty, coastal road. And if you still miss spotting these cars, then come out to Radwood 2018. We would love to tell you our cars' stories, and we want to hear all about your rad ride.